The Black Island salmon farm, divided into two sites (Black and Black south), sits off of Mount Desert Island in Maine. 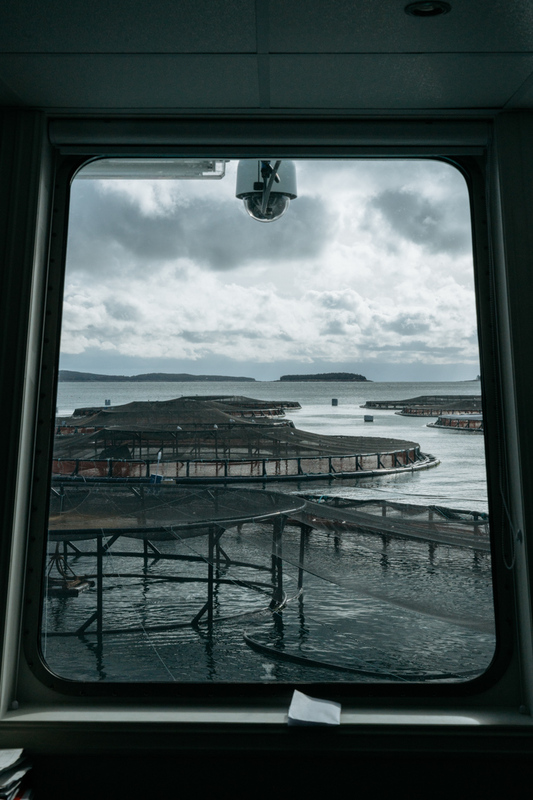 Operated by Cooke Aquaculture, which operates 10 fish farms in Maine, the south farm is a little over 38 acres, boasts a state-of-the-art, Steinsvik automated feeding system that pipes food to each of the pens and streams a live, underwater video feed. The new southern expansion holds roughly 30,000 fish at any given time (along with and additional 33,000 fish in 12 pens to the north), and the combination of the two sites produce 5,750 tons of salmon annually (1900 tons on Black, 2850 tons on Black south).